Famous for their size and elegance in flight, albatrosses are familiar to anyone who has travelled through the southern oceans, and are a flagship family of conservation concern. However, albatrosses are just one of several groups of 'pelagic' birds - those that visit land only to breed, and spend the rest of their lives far from the coast, soaring from ocean to ocean in a never-ending search for food. Mysterious and graceful, these birds can present a formidable identification challenge to even the most experienced birder. 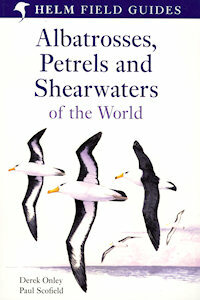 This book provides the answer - the first comprehensive guide to pelagic birds, the albatrosses, petrels, shearwaters, storm-petrels and diving petrels. Confusion species included on plates to assist accurate identification. Detailed species accounts include colour distribution maps for every species. This new field guide is a complete and convenient reference to every species of Cetacean, Pinniped and Sirenian in the world, along with the Marine and Sea Otters and the Polar Bear. Every species is illustrated with colour paintings and photographs, chosen to illustrate the key field marks which can be used to separate each species in the field. The author's unique depth of experience and knowledge, coupled with the artist's unrivalled skill, have come together to produce a neat, practical field guide that will enable any observer to quickly identify any mammals they may encounter at sea. This new field guide uses all of the plates from Birds of Western Africa, with a concise, authoritative text on facing pages, to create a conveniently-sized, lightweight field reference covering all 1.285 species found in the region. The book also has an updated colour distribution map for each species, conveniently placed on interleaved pages within the colour plates. A number of new images have been painted for this new field guide and several of the plates have been replaced. This is the first comprehensive field guide to cover the birds of this exciting region, and will enable birders to identify any species found in any of the countries covered. 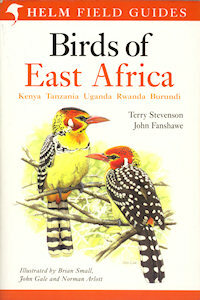 Comprehensive field guide to all the resident, migrant and vagrant birds of Kenya, Tanzania, Uganda, Rwanda and Burundi. It describes 1.388 species and contains 287 new colour plates showing 3.400 images set opposite concise descriptive accounts on identification, status, range, habits, voice and range maps for each species. Introductory sections provide notes on how to use the species accounts, the nomenclature adopted, conservation issues, where to send records, and maps of protected and other important bird areas. At 602 pages long, it is great value for money. 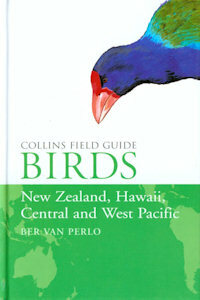 This is the first comprehensive field guide dealing exclusively with the birds of this spectacular region. Over 450 species are illustrated (By Chris Orgill and Tony Disley) with full details of all the plumages and major races likely to be encountered. 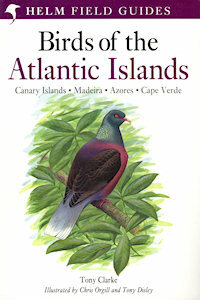 This is an absolute must-have for the birdwatcher planning a trip to any of the Atlantic Islands. 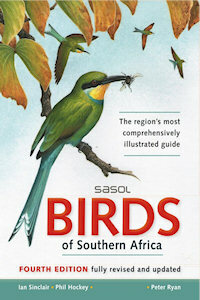 First published in 1993, Sasol Birds of Southern Africa is one of the best-selling field guides on the African continent. This fourth edition has been rewritten and greatly improved, ensuring it remains the region’s most comprehensively illustrated and trusted field guide. 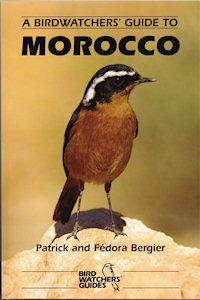 In this fourth edition: species accounts have been rewritten and now include group introductions; plates have been newly designed for ease of use and comparison; more than 380 new improved illustrations replace earlier ones; illustrations have simplified labels, pinpointing key differentiating features; distribution maps have been updated, showing the relative abundance of a species in the region, and also indicating resident or migrant status. Other features include calendar bars that show species’ occurrence and breeding periods, a section on ‘how to use this book’, as well as sonograms depicting the calls of difficult-to-distinguish birds that have distinctive calls. In this updated and revised edition of field Guide to the Larger Mammals of Africa authors Chris and Tilde Stuart concentrate on the more visible and easily distinguished larger mammals species, plus some of the more frequently seen smaller mammals. In all, over 400 colour photographs, combined with concise, pertinent information highlighting the diagnostic features of each species, provide a comprehensive source of data on each mammal. The latest information has been incorporated and the distribution maps have been revised to reflect the most up-to-date habitat and distribution patterns for each species. A new feature is the inclusion of the mammals'skulls, grouped together at the back of the book. To aid the reader, colour coding and symbols indicating the habitat and activity period serve as a quick reference to the various mammal groups. The butterflies of West Africa are generally well known, but there are no country-by-country field guides for the interested amateur naturalist. The butterfly fauna of The Gambia is not particularly diverse in a West African context, but it does contain interesting elements of both Sahelian and Guinean Savannah species, because the country is located at the interface of these two major biomes. As a result of the distinct wet and dry seasons there are different butterfly species assemblages at different times of the year, with some species present year round. The rainy season and early in the dry season (November and December) are certainly the best times to see the greatest diversity of these magnificent insects. However, despite their highly apparent nature, there is still a great deal we do not know about the Gambian butterfly fauna, including the true diversity of species that occur within the country. 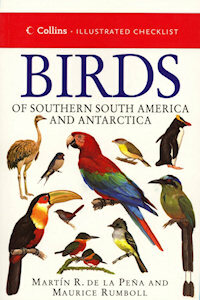 Indeed, several species are recorded for the first time in this book. David Penney is a Visiting Research Fellow in the Faculty of Life Sciences at The University of Manchester. He has spent several years in The Gambia and is also the author of several other field guides in addition to numerous scientific papers. 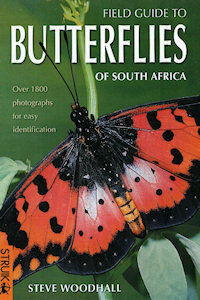 Field Guide to Butterflies of South Africa is designed for easy, rapid identification of all butterflies likely to be seen in South Africa. Following a worldwide trend to butterfly watching, readers are encouraged to observe behaviour rather than collect specimens. A detailed introductory section discusses butterfly biology, behaviour and anatomy, and butterfly families and subfamilies. A comprehensive section on individual butterfly species supplies a wealth of information - scientific and English common names, information on flight periods and numbers of broods, behavioural traits and differentiation from similar species, as well as notes on size, geographical distribution and larval food sources. Photographs are mostly of live specimens taken in the wild, and include under- and uppersides, and dimorphism where necessary. Steve Woodhall (b 1957, Rochdale, UK) has been chasing butterflies with a net or camera most of his life. In 1980 he achieved a life's ambition and emigrated to Africa, and now lives near Durban in South Africa. He's been photographing butterflies almost all that time, and when his old friend Bill Hansford-Steele (author of several books on Fly Fishing in Africa) suggested he should do a book, he decided to have a go! Southern Africa is home to a remarkably diverse and rich reptile fauna. 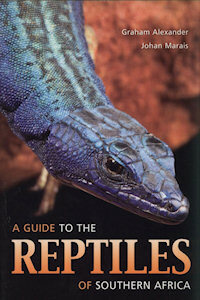 A Guide to the Reptiles of Southern Africa introduces the 517 species currently described in the region, arranged into three main groups - snakes and lizards, crocodiles, and shelled reptiles. Drawing on the latest scientific research, the authors start with a discussion of reptile identification, diversity, biology, distribution patterns, and where to find and observe them, as well as unravelling the facts and fallacies of snakebite. Informative panels provide key information at a glance, with a distribution map and clear icons giving typical habitat and period of activity. The full colour photographs throughout brings the subject matter vividly to life. This book will appeal to all wildlife enthusiasts, both professional and amateur, and will prove to be a valuable guide in the field. 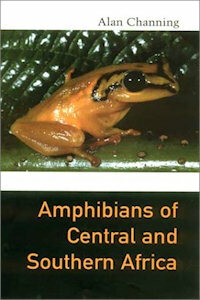 Amphibians of Central and Southern Africa is the first comprehensive guide to the frogs, toads, and caecilians of the ten sub-equatorial African countries—Angola, Botswana, Lesotho, Malawi, Mozambique, Namibia, South Africa, Swaziland, Zambia, and Zimbabwe. A source of increasing interest in their own right, amphibians are also benchmark species for biodiversity, and are used as laboratory animals in many of the sciences. In the wild, amphibians, especially frogs, act as natural monitors of water quality and are invaluable in pest control. Alan Channing synthesizes information published over the last century to provide the first natural history and a portrait of the amphibian fauna of this vast region. special sections for some species with topics such as "skin toxins"
South Africa, together with Lesotho and Swaziland, has a diverse landscape and equally varied flora, which encompasses some 19,000 shrubs and herbs, a large proportion of which bear flowers of intricate and often stunning beauty. 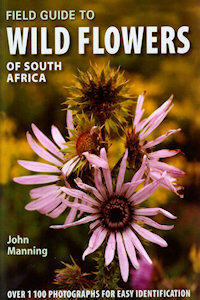 Field Guide to Wild Flowers of South Africa describes more than 1,100 of these, highlighting the most conspicuous species and those most likely to be encountered across the country. A novel identification aid and easy-to-use keys guide users to the correct family and genus, while individual species descriptions, clear photographs, distribution maps and flowering seasons help pinpoint the plant. With this guide, wildflower enthusiasts at all levels will now be able to identify plants accurately in any part of South Africa. Dr JOHN MANNING is a Specialist Scientist at the South African National Botanical Institute in Cape Town. He is a world specialist on the bulbs of Southern Africa but has wide-ranging interests in all aspects of South Africa's flora. He has published widely in scientific journals and is also committed to popularizing the indigenous flora. He is the author or co-author of several popular wildflower guides. This full-colour, glossy book is the first photographic field guide for Namibia. 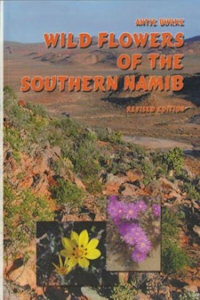 It covers wild flowers of the southern Namib, an area for which as yet no plant guides are available. 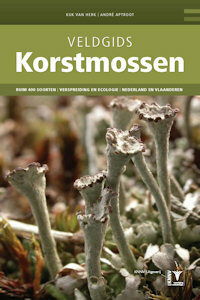 The pocket-size, attractive book includes plants which occur in the area of Lüderitz, Aus, Rosh Pinah, Oranjemund, i.e. Sperrgebiet and surroundings, but also some plants of the Namib sand sea, northwards to Sossusvlei. Focussing on those plants most commonly seen by visitors to the area, there are descriptions of 52 plant species, organised according to main growth forms. These cover a selection of common shrubs, stem-succulents, succulents, herbs, bulbs and grasses. The text is illustrated with 2 colour maps and 59 delightful line drawings. Well over 100 colour photographs illustrate the described plant species, providing overall appearance, flowers and close-ups. Beautiful full-page photographs show the breath-taking landscapes and habitats of the southern Namib. The author has taken an ecological approach and provides a narrative introduction to the environment and rich plant life of this desert. Seven textboxes give additional interesting information throughout the book. These explain some fascinating ecological adaptations, relate the peculiarities of the southern Namib environment and describe some interactions between plants their environment. The Gambia, located on the coast of tropical West Africa supports a diverse range of habitat types, from forests to mangrove swamps, savannah grasslands and coastal ecosystems. It has a rich and diverse flora and fauna, which for some groups such as birds and mammals is relatively well known. However, for groups such as arachnids and most insect orders very little information is available. In this relatively small volume, the author provides close-up macrophotographs and notes on the biology of more than 700 non-marine species, including those most likely to be seen by the vigilant nature lover during a short visit to the country. Many of the species represent the first records for the country and several will almost certainly be new to science. The aim is for Field Guide to Wildlife of The Gambia to be used for identification in the field, so text has been kept to a bare minimum. 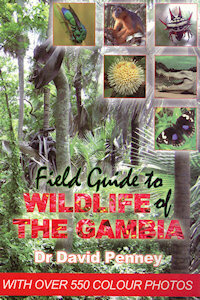 It is a must for anybody with even a passing interest in wildlife of The Gambia and West Africa in general. The author is a zoologist and world expert on spiders. 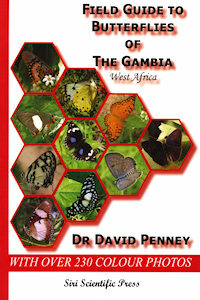 He has also written several other titles on Gambian wildlife, including butterflies and arachnids. These remote islands in the South Atlantic Ocean lie roughly midway between the southern tip of Africa and South America. As is typical of isolated, oceanic islands, the fauna and flora are not especially rich, but they are characterised by large numbers of species found nowhere else on earth. Among these are seven species of land birds, including the smallest flightless bird in the world, and four species of seabird. The islands also are home to more than 40 endemic plants and 100 invertebrates. The shallow-water marine life around the islands exhibits high levels of endemism in at least some groups, such as bivalves and seaweeds. The Tristan and Gough group include some of the least disturbed temperate island ecosystems in the world, but they are under threat, mainly from introduced species of both animals and plants. The small community on Tristan is committed to conserve its precious natural heritage, and has already set aside more than 40% of the islands' limited land area as nature reserves. 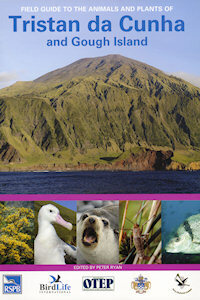 Proceeds from the sale of this guide will go directly to fund conservation management at the islands. Morocco is a paradise for birdwatchers with its coasts, islands, wadis, plains, forests, mountains and deserts creating conditions that are often very different from those found in Europe. The richness of these habitats is clearly illustrated by the 452 species which have been recorded so far. 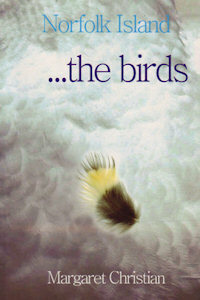 Fifteen years have passed since the publication of the first edition of this book. This is a very short period in the dynamics of bird communities, but a very long period in a country that has developed so quickly. The Government is encouraging development and tourism, for example in the Atlantic West Sahara, which opens up great new sites for birdwatchers. The most important and easily accessible of these new sites have been included in this second edition, and the original 15 sites have been increased to at least 50. The first field guide to illustrate every species of bird found in Argentina, Chile, Bolivia, Paraguay, southern Brazil and Uruguay. The plates will facilitate the identification of males, females, and juveniles, and are complemented by distribution maps. The text details the kind of habitat the birds are found in, key identification features and notes on the songs and calls of each species. Over 1.000 species are illustrated in coulor. For many species the female or juvenile is shown in addition to the adult male. 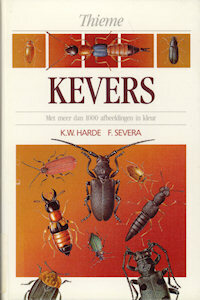 Each species is described on pages opposite the illustrations allowing for quick and easy reference. 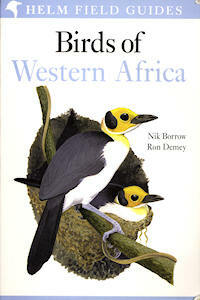 The text describes each bird's key identification features; its usual habitats and the sound it makes. Each species is also illustrated with a map showing where it can be found and how common it is. 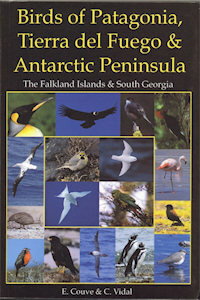 Comprehensive field guide to all the resident, migrant and vagrant birds of Patagonia, Tierra del Fuego and Antarctic Peninsula, including the Falklands and South Georgia Islands. This is a unique region on the planet including the frozen austral fjords of Chile and the steep Argentina Atlantic coast that is virtually teemed with wildlife. Between are the Valdivian temperate forests that are the realm of the Chucao Tapaculo and the windy arid Patagonian Steppes where Rheas and Tinamous travel in groups. 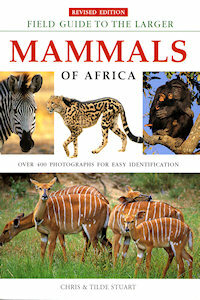 The guide describes over 400 species with over 2000 colour photographs. Descriptive accounts are provided for each species covering identification, status, range and habits. Distribution maps are also included. Introductory sections provide: a synopsis of the region, a selection of maps, notes on how to use the species accounts, the nomenclature adopted and a complete selection of bird topography diagrams. This guide also includes an updated appendix describing the status of 133 resident, regular visitors, accidental and introduced species in the region. It is hoped that this book will inspire the reader to observe, learn and therefore protect the rich but also fragile birdlife of this remote outer corner of the world. East Asia - Eastern China, Taiwan, the Korean Peninsula, Japan and Eastern Russia - is home to a spectacular and diverse range of birds, with the Pacific coast and its offshore islands forming one of the world's major migration routes. 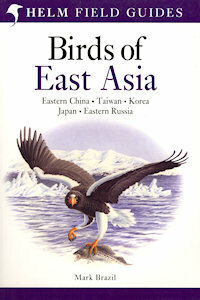 Birds of East Asia is the perfect field guide to this amazing avifauna. Mark Brazil has succesfully filled a major gap in the bird litarature ..... i wil certainly bring it whenever i travel east. 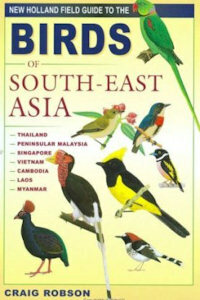 This concise, up-dated edition of the award-winning A Field Guide to the Birds of South-East Asia is the most comprehensive compact guide to this magnificent bird-rich region. This guide is a magnificant achievement, regionally without peer, and clearly the essential guide for future visitors to the region"
Distinctive thumbnail colour tabs outlining each family group to enable quick identification. Compact, easy-to-use format; the ideal pocket-size travelling companion. Authoritave text describing key, identification features. Full-coulor photographs illustrating each of the 252 species. 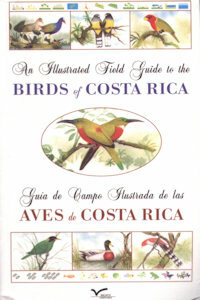 The result of the efforts of the publishers Incafo Costa Rica and a group of Costa Ricans - an illustrator and several ornithologists - who wished to make this their contribution to furthering knowledge of Costa Rica's birdlife among the many foreign visitors to the country, as well as among Costa Ricans themselves. A very practical guide that is a fieldwork tool for amateur ornithologists different from other existing guides to Costa Rican birdlife. 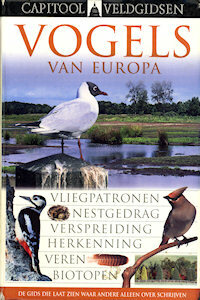 Since it was first published a decade ago, Birds of Europe has become the definitive field guide to the diverse birdlife found in Europe. Now this superb guide has been brought fully up to date with revised text and maps along with added illustrations. Uniquely designed for easy use in the field, this expanded edition covers all 772 species found in the region as well as 32 introduced species or variants and 118 very rare visitors. Detailed species accounts describe key identification features, voice, habitat, range, and size. More than 3,500 full-color illustrations depict every species and all major plumage variations, and color distribution maps provide breeding, wintering, and migration ranges for every species. Complete with an introduction to each group of birds that addresses major problems of observation and identification, this new edition is the ultimate field guide to Europe's fascinating birdlife. 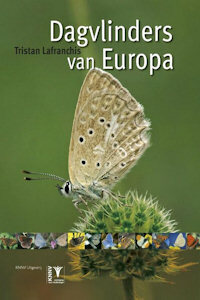 At least a field guide which allows to identify with confidence all the butterflies flying in Europe. This book is basically a subdivided determination key. The beginner can follow it step by step untill he gets the name of the butterfly, the keen entomologist can directly go to the relevant genus or species. There are about 1300 colour photos of living butterflies with useful lines pointing to distinguishing features. For each species the text, photos and distribution map are presented together. The distribution maps are precised and updated, with detailed maps for local species. The author's aim is to enable the identification of all species in the field without killing them, and there are genitalia drawings for the more difficult species with a method to check them without killing. This pocket field guide has everything to become the ideal companion of your travels and excursions. This ground-breaking book is the most comprehensive field guide to micro-moths ever published and for the first time makes this fascinating and important group of insects accessible to the general naturalist. 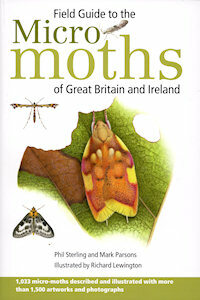 A must for all those interested in moths, as well as naturalists and conservationists. This superb new identification guide to all the dragonflies and damselflies of Britain and Europe, presented in an accessible, easy-to-use format, is the essential companion for the new generation of dragonfly watchers. 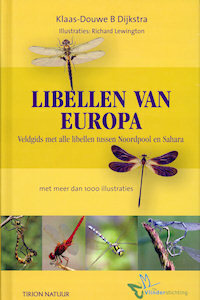 Written by a team of dragonfly experts from across Europe, co-ordinated by K-D Dijkstra, and illustrated by Richard Lewington, generally accepted to be Europe's foremost illustrator of insects. The guide covers all of Europe, from the Arctic Circle to the Mediterranean Basin, including western Turkey, Cyprus, Morocco, Algeria, Tunisia and the Azones, Canaries and Madeira. The comprehensive texts and innovative keys and identification tables of adults of all 160 species of Odonata include field characters, hand characters, variation, behaviour, range and status, habitat and flight season, together with newly-researched distribution maps. There is also a comprehensive introduction to studying and identifying dragonflies, and a country-by-country guide to where to find them throughout Europe and North Africa and Turkey. A comprehensive field guide to every species of newt, salamader, frog, tortoise, terrapin, turtle, lizard and snake in Europe. The only truly pocket-sized quide and the most up-to-date in termsof taxonomy. 300 colour photographs showing key identification features, difference between males and females, subspecies and other variations for many species. species occuring in Britain or which are widespread in continental Europe recieve greater coverage. The most contemporary and portable quide available to all reptiles and amphibians of Britain and Europe. 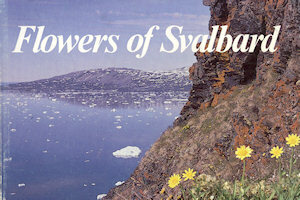 An introduction to the flowers of the Scandanavian Svalbard Islands. A photographic guide covering 49 species of flowering plants found on the islands of Spitsbergen (Svalbard) with polar distribution map for each. A general introduction covers topography, climate geology and vegetation, together with descriptions and habitat details for every species illustrated. 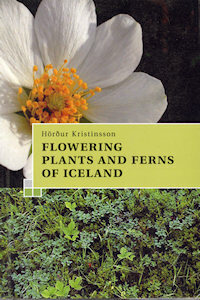 Flowering plants and ferns of Iceland, one of the most popular guides to Icelandic flora, has now been extensively revised and improved. Inside you’ll find 465 different species of plants, some of which are new to Iceland or have been naturalized in recent decades. The unique features of each plant are briefly described, as well as information about its habitat, distribution, flowering time and size. Each species is illustrated by a colour photograph, a drawing and a distribution map based on the most recent available data. The book is organized by flower colour and other easily identifiable features, all of which is explained in the illustrated key that precedes the plant descriptions. This is designed to make it easy for the layman to distinguish and identify plants and come to know the diverse and beautiful flora of Iceland. The author, Hörður Kristinsson, is a Dr. rer. nat. 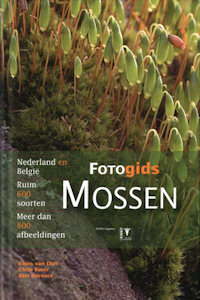 in botany and has been studying and photographing the flora of Iceland for almost fifty years. He was a professor of botany at the University of Iceland from 1977–1987 and later director of the Icelandic Institute of Natural History in Akureyri. In 1999 he became a research scientist at the same institution, until his retirement in 2007. Southern Spain has a particularly rich and varied flora. This photographic field guide describes a representative selection of the most frequent and characteristic flowering plants to be found in this part of south-east Spain, many of which can also be seen anywhere in southern Spain or further afield. The area covered spans 2000 m in altitude and takes in a variety of largely Mediterranean vegetation types, of which those dominated by the aromatic thymes and colourful brooms are amongst the most spectacular. 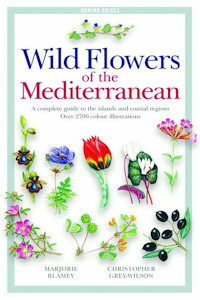 Wild Flowers of Eastern Andalucia describes 625 species, with 575 illustrated by colour photographs. It will appeal to local residents or holidaymakers, visiting botanists or anyone with an interest in wild flowers who is planning to visit the region. There is an introductory account for each plant family and each species account also includes the English and local Spanish names where known and a summary of cultural and medicinal uses. 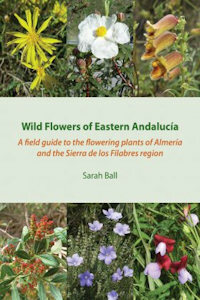 Botanist Sarah Ball is a regular visitor to the Almería and Sierra de los Filabres regions in eastern Andalucía, Spain. She has helped run field courses for the University of Reading, the Eden Project, and the Royal Botanic Gardens, Kew, for many years. For the first time over 1.100 plant species of Transylvania are presented with 1.800 color photos and detailed texts. 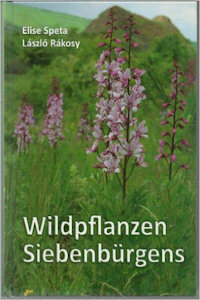 Wildpflanzen Siebenbürgens does not just contain information about identification, but also knowledge about their use as medicinal plants or wild vegetables, or their significance in customs and mythology. The breakdown by flower colors and the detailed explanation of botanical terminology makes determining easy. A complete list of all known plants species in Transylvania rounds out the work. Finally, the landscapes of Transylvania with their natural beauty and protected areas, and descriptions of rewarding excursion destinations in words and pictures Wildpflanzen Siebenbürgens an indispensable source of information for both resident naturalists, or visiting tourists. This book is the standard field guide to the flowers, fruit trees, grasses and ferns found in the countries bordering the Mediterranean. It covers Portugal, Spain, France, Corsica, Italy, Sardinia, Sicily, the Balkans, Greece, Crete, Cyprus, Turkey, Syria, Lebanon, Israel, Egypt, Libya, Tunisia, Algeria and Morocco - in all over 2.500 plant species are described. Introductory chapters cover the general ecology and climate of the region, and describe the structure of the book and how to use it. Illustrated by renowned botanical artist Marjorie Blamey, and written by leading field botanist Christopher Grey-Wilson, this field guide will enable anyone to identify the wild plants found in this lovely and diverse region. Marjorie Blamey is one of the world's leading botanical artists. Christopher Grey-Wilson was on the scientific staff at the Royal Botanic Garden, Kew until 1990, before becoming the editor of the Alpine Garden Society. He has led many botanical expeditions to Europe and Asia. The location of Greece at the meeting-point of three continents, together with the relief of its terrain which includes a multitude of high mountains and hundreds of kilometres of coastline, has endowed it with a rich flora comprising almost 6.000 different species. This huge number, in relation to its area of only 132.000 square kilometers, places it in the first rank in Europe with respect to the density of flora. About 15% of these species are endemic and often find refuge in the safety of the gorges and mountains, where the presence of man is reduced or minimal. In particular the mountains, from Rhodopi to Pindos, Olympos, Parnassos and Taygetos as well as the three mountain chains on Crete, are home to a host of rare and unique varieties which, combined with the wonderful walking paths they offer, define Greece as the botanical paradise of Europe. 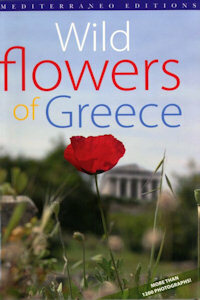 In this book, around 600 varieties of the most representative of the Greek flora are presented. Short texts which focus on the botanical characteristics of the plants, on mythological references to them, and often on the etymology of their names, as well as more than 1200 photographs showing both them in detail and their biotopes, make their recognition an easy and pleasing procedure. 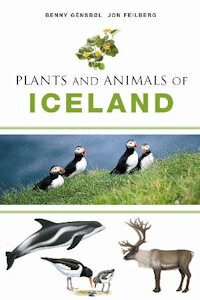 Plants and Animals of Iceland is the first handbook with descriptions and illustrations of all the country's main birds, mammals and plants. 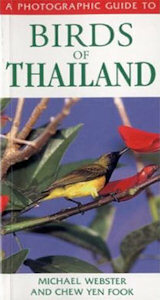 An ideal traveler's companion, it provides information on both nesting birds and visitors, a total of 119 species. In addition to descriptions of all Icelandic sea and land mammals, there are 220 plant species - making it possible to identify practically all Icelandic plants. All species are shown with drawings for quick and simple identification of whatever bird, animal or plant may cross the traveler's path. Maps show the distribution of al nesting birds, mammals and plants, along with their Icelandic names. 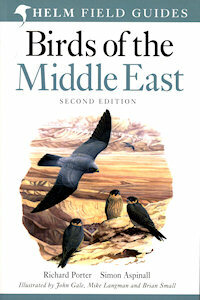 Detailed field guide dealing exclusively with the birds of the region. It covers all species found in the Arabian Peninsula (including Socotra), Jordan, Lebanon, Israel, Syria, Iraq, Iran, Turkey and Cyprus. All species are illustrated on colour plates (by J Gale, M Langman and B Small), with distribution maps appearing opposite the plates, complete with notes on status and preferred habitat. This is a completely revised second edition. For the first time, the text and maps appear opposite the plates. There are more than 100 new species. This only portable comprehensive field guide to the butterflies of Turkey emphasizes the identification of butterflies in their natural settings and is an essential companion for butterfly-watchers and conservationists alike. 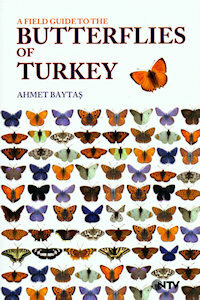 Ahmet Baytas grew up in Istanbul, where he graduated from the Bosphorus University in 1980 with a degree in economics. He then went on to receave his PhD in economics from the City University of New York Graduate Center. Curently, he is a professor of economics at Monclaire state University in New Jersey. Ahmet is an avid butterflier and a past president of the North Jersey chapter of the North American Butterfly Association. He is especially interested in identification and conservation of butterflies in his native Turkey and has given many lectures and talks on the subject. The province of Mugla is situated in Southwest Turkey. 56 species of dragonfly have been recorded for this area. This book describes the species, their habitats and locations, and includes colour photos, hand-drawn location maps and distribution maps. Paul Hope was born in 1939 and educated at Wenlock Edge School, Birmingham University wehre he read biology and the University of Wales, Bangor where he read mathematics. After a varied career in banking, a commission in the army and in education, he finally settled into the career he had originally trained for, that of field research biologist. He is a naturalist whose chief interest lies in fieldwork not only with regard to birds but also in many other branches of natural history including plants, dragonflies, damselflies, butterflies and spiders. Since he settled in South West Turkey in 1996 he has published "Walking & Birdwatching in South West Turkey with Botanical & Historical Notes" and has written several papers on a variety of natural history subjects. As a result of his work on the preservation of Important Bird Areas (I.B.A. ), the wetlands of Calis has become a bird reserve and the Girdev lake area has become an official I.B.A. 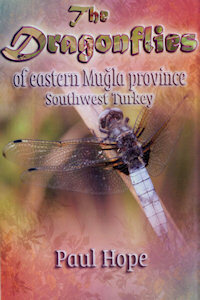 After working for two years on a biodiversity project for the United Nations, where he became across a great variety of dragonflies, he decided to research the species in the easternpart of Mugla province. Dankzij de schitterende close-upfoto's komen in deze compacte en overzichtelijke natuurgids meer dan 500 soorten op papier tot leven. Elk detail van elke vogel is te zien, waardoor eenvoudiger en definitiever identificeren mogelijk wordt. Dit is de perfecte handleiding voor iedereen die in vogels geïnteresseerd is, ongeacht leeftijd en ervaring. De Capitool Natuurgidsen zijn gidsen gericht op de natuur van Europa. Aan de hand van schitterende foto's behandelen ze praktisch en beknopt de populairste deelgebieden van de natuur. Samen vormen deze gidsen een waardevolle collectie – ideaal voor thuis in het gezin of buiten in de natuur. Belangrijke verschillen tussen juveniel en volwassen, mannetje en vrouwtje en winter- en zomer-kleden worden getoond. Vogels die moeilijk uit elkaar te houden zijn, worden vergeleken en de verschillen aangewezen. Gedetailleerde illustraties tonen verenkleed en houding in de vlucht. Kaarten tonen precies waar de vogel kan worden gezien, in de zomer, in de winter, het gehele jaar of tijdens de trek. 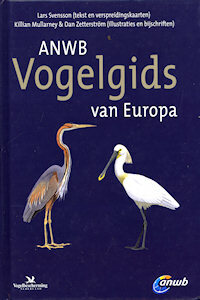 De Nieuwe Veldgids Dagvlinders is de meest complete gids van de vlinders van Noordwest - Europa. 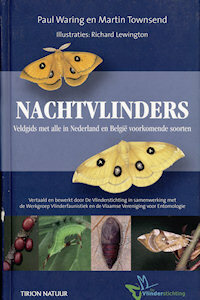 Deze uitgave is een volledige herziene versie van de succesvolle Veldgids Dagvlinders. Met nieuwe informatie en extra foto's is deze vlindergids actueler dan ooit. De Nieuwe Veldgids Dagvlinders biedt een schat aan praktische informatie waarmee soorten gemakkelijk op naam te brengen zijn. Handige determinatietabellen leiden naar families en soorten. De auteurs, ervaren medewerkers van De Vlinderstichting, geven bovendien talloze handreikingen voor het op naam brengen van moeilijke soorten. Van elke soort zijn de boven - en onderkant afgebeeld waarbij de opvallende kenmerken zijn aangegeven. Ook foto's van de vlinders in het veld zijn opgenomen en waar nodig bevat de gids foto's van eitjes, rupsen en poppen. Met deze gids kan iedereen - specialist en amateur - vlot en succesvol dagvlinders determineren. Onmisbaar in iedere veldrugzak. Deze unieke gids biedt een deskundig overzicht van alle in Nederland en België voorkomende macro-nachtvlinders. Vrijwel alle soorten worden uitgebreid beschreven en in beeld gebracht met minimaal één tekening in de natuurlijke rusthouding. Alle informatie uit deze van oorsprong Engelse gids is aangepast aan de situatie in Nederland en België en aangevuld met extra tekeningen en soortbeschrijvingen. Met algemeen gedeelte over determinatie en bestudering van nachtvlinders wordt het boek ingeleid. Meer dan 1.600 prachtige gedetailleerde tekeningen in kleur van ruim 800 soorten nachtvlinders, weergegeven in hun natuurlijke rusthouding. Bijna 80 foto's van rupsen. Uitgebreide teksten bi elke soort: kenmerken, gelijkende soorten, vliegtijd en gedrag, levenscyclus, wardplant, habitat en voorkomen in Nederland en België. Nog nooit was het herkennen van mossen zo eenvoudig. De auteurs weten uit ervaring dat de identiteit van mossen bij voorkeur wordt vastgesteld op basis van foto's, en daarin voorziet deze veldgids dan ook ruimschoots. In full color zijn maar liefst meer dan 600 soorten en variëteiten afgebeeld. 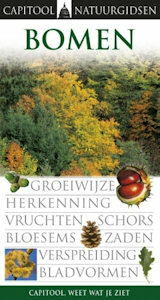 Omdat vrijwel elke soort een ecologische voorkeur heeft, zijn de mossen per groeiplaats ingedeeld, zoals waterkant, heide of duin. In een vaste volgorde komen de specifieke kenmerken per soort aan bod, waaronder de groeivorm, vertakking en blad. De nadruk ligt op veldkenmerken en de verschillen met vermeende dubbelgangers. In de Fotogids Mossen zijn alle Nederlandse en Belgische soorten, met uitzondering van extreem zeldzame, opgenomen. Daarmee is de gids vrijwel compleet voor Nederland en België en dekt bovendien een groot deel van aangrenzend Duitsland en Frankrijk. Daarnaast bevat het boek nuttig advies over loepgebruik om de optische finesse van het instrument optimaal te benutten. Tips over het bewaren en ordenen van soorten helpen de lezer op weg om een herbarium aan te leggen. 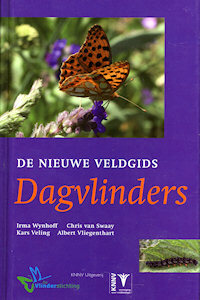 Een unieke gids voor wilde bloemen in de vrije natuur. Meer dan duizend wilde p;anten in bloei zijn in kleur afgebeeld en steeds voorzien van bondige beschrijvingen. De planten worden behandeld in volgorde van bloeiperiode en waar mogelijk in samenhang met andere planten uit dezelfde omgeving en met ongeveer gelijke bloeitijd. 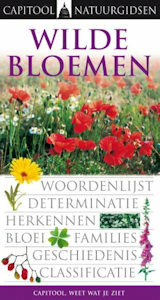 De combinatie van unieke foto's en nauwkeurige beschrijvingen in dit scitterende boek vormt een originele benadering voor de herkenning van wilde bloemen. Soms heb je al genoeg aan de vorm van een bloem of het type blad om een soort te benoemen, maar meestal lukt dat alleen als je de plant al vele malen hebt gezien. Bloeiende planten hebben allerlei manieren ontwikkeld om zich te kunnen handhaven in zeer verschillende leefmilieus. De natuurgids Wilde bloemen behandelt de 440 soorten die het meest voorkomen in Europa, van de Witte klaver tot het Gele nagelkruid en van de hondsroos tot de Kromhals. Dankzij de schitterende close-upfoto's komen in deze compacte en overzichtelijke natuurgids wilde bloemen op papier tot leven. Dit is de perfecte gids voor iedereen die in wilde bloemen geïnteresseerd is, ongeacht leeftijd en ervaring. Een wegwijzer zodra je de natuur opzoekt, in je eigen achtertuin of ergens op het platteland. Bomen hebben talloze kenmerken waaraan je de soort kunt herkennen. Dankzij de schitterende close-upfoto's komen in deze compacte en overzichtelijke natuurgids bomen op papier tot leven. Dit is de perfecte gids voor iedereen die in bomen geïnteresseerd is, ongeacht leeftijd en ervaring. De eerste korstmosflora waarin alle korstmossen van Nederland en Vlaanderen - ruim 400 soorten - zijn opgenomen. Boordevol informatie over verspreiding, ecologie en kleurenfoto’s. Met duidelijke soortbeschrijvingen en handige sleutels. Het herkennen is zo geen probleem meer. Geschreven door dé experts op dit gebied in Nederland! 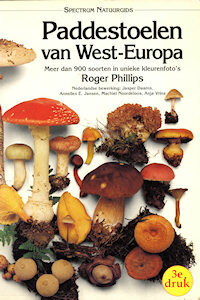 In deze Spectrum natuurgids worden meer dan 900 soorten paddestoelen beschreven aan de hand van kleurenfoto's van Roger Phillips. Elke soort is van verschillende kanten gefotografeerd, zodat de genoemde kenmerken goed zichtbaar zijn. Daarnaast komen groeiplaats, verspreidingsgegevens en eventuele giftigheid aan de orde. Ook worden er aanwijzingen gegeven voor het maken van een sporee en helpen determinatietabellen de gebruiker op weg om verschillende plaatjeszwammen van elkaar te onderscheiden. Daarmee vormt deze gids een onmisbaar naslagwerk voor iedereen die in paddestoelen geïnteresseerd is. Op het gebied van de natuurstudie hebben spinnen altijd een aparte plaats ingenomen. Ze worden vaak ten onrechte afgeschilderd als gevaarlijke of geheimzinnige schepselen. De waarheis is echter nog boeiender dan dergelijke verhalen. 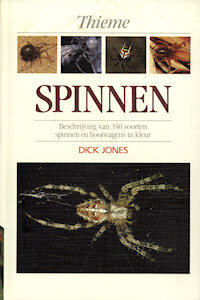 Deze gids bevat een unieke collectie afbeeldingen in kleur van eer dan 350 soorten spinnen en hooiwagens en een systematisch gerangschikte beschrijving van al deze soorten. De inleiding is uitvoerig en bevat toegankelijke informatie over anatomie en classificatie van de spinnen uit onze omgeving, hun levensgeschiedenis, jacht- en vangmethoden, hofmakerij, verspreiding en oecologie. Bovendien wordt aandacht besteed aan het opsporen en waarnemen van spinnen. De beschrijvingen van een aantal in West- en Noordwest Europa voorkomende soorten met per soort een afbeelding in kleur van de levende spin in zijn natuurlijke omgeving. In het familieoverzicht wordt van elk afzonderlijke familie een karakteristieke vertegenwoordiger schetsmatig afgebeeld, waardoor het terugvinden van de soort in het systematische deel aanmerkelijk wordt vereenvoudigd. Verder wordt informatie gegeven over de lichaamsbouw van kevers, de leefwijze, de ontwikkeling en voortplanting, de broedverzorging, de schutkleuren, de geluiden en het licht dat ze voortbrengen. De verzamelaar treft in dit boek tevens waardevolle tips aan voor het verzamelen, prepareren en samenstellen van de collectie. 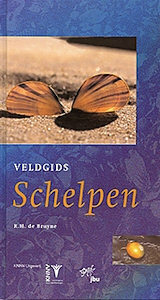 Schelpen zijn het uitwendige kalkskelet van schelp- of weekdieren. Ze hebben vaak prachtige kleuren en worden door veel mensen verzameld. In de Noordzee leven verschillende spectaculair uitziende soorten, zoals de Wenteltrap, Pelikaansvoet, Spoelhoren en Trapgevel. Hoewel schelpdieren zelf vaak een verborgen bestaan leiden in het gebied beneden de laagwaterlijn, zijn de schelpen ervan wel op het strand te vinden. Deze schelpengids behandelt 252 soorten schelpen en weekdieren die voorkomen langs de kusten van Nederland, België, het Waddengebied en het Duitse (rots-)eiland Helgoland. De sleutels en soortbeschrijvingen zijn voorzien van duidelijke tekeningen en kleurenfoto's. Veldgids Schelpen: een handige gids waarmee zowel beginners als ervaren schelpenverzamelaars de soorten snel en betrouwbaar kunnen herkennen. 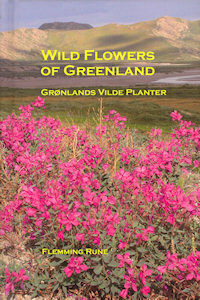 This is a field guide to the vascular plants of Greenland. 500 species of the native flora are treated in this book, and 270 species are illustrated by the author's own colour photographs. 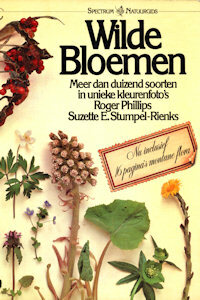 Flemmimg Rune is a scientist, tv host and author of several books on nature conservation, botany & natural history. He has spent more than 20 summers in Greenland, from his blue cottage in Nanortalik to the far north. 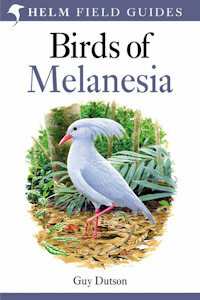 Melanesia is the chain of islands extending from New Guinea into the South-west Pacific, supporting birds from both regions and a huge number of endemic species and subspecies. Many of these are poorly known as suprisingly few birdwatchers and scientists have visited many of the islands, and there are few local ornithologists. This thorough yet practical field guide will surely stimulate the study and conservation of the birds of this fascinating region. This long-awaited guide to Norfolk Islandb birds is an important and useful addition to the available environmental information about this unique and beautiful island. Many never-before-published photographs, plus paintings and detailed descriptions of 149 birds make this the most informative, usable and up-to-date reference available. Illustrations of seven extinct endemic species are complemented by fascinating historical facts about their habits and possible reason for their demise. The surviving eight endemic species are highlighted, with details of the efforts that have been made to save them from extinction. There are surprising historical facts discovered in 18th century journals regarding some of the native and introduced species. A selection of the regular non-breeding migrants and a complete list of all the birds that have been recorded as visitors to remote Norfolk Island is also provided. Both the experienced birdwatcher and the beginner will find in this book a satisfying amount and depth of information to heighten their enjoyment of their Norfolk Island birding experience. The Birds of Ecuador comprehensively treats the nearly 1600 species of birds that can be found in mainland Ecuador. 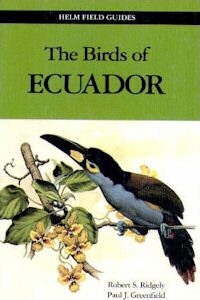 The authors describe Ecuador this way: "One of the wonders of the natural world. Nowhere else is such incredible avian diversity crammed into such a small country. . . . Birds are, happily, numerous in many parts of Ecuador: even the downtown parks of the big cities such as Quito and Guayaquil host their complement." Volume II, the field guide volume of this two-volume set, contains 96 full-color plates and facing pages of descriptive text, a color map of Ecuador, along with two line drawings of bird anatomy, 115 silhouette outlines, and nearly 1600 distribution maps. All species are illustrated in full color, including migrants and vagrants and visually distinctive subspecies. The text focuses on the field identification aspects of each species, including their behavior, vocalizations, and nest appearance. 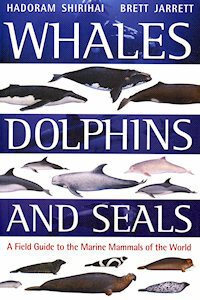 This book is composed of two parts: Color plates and species accounts. There are 16 color plates showing all 100 birds. These plates have been taken directly out of Haverschmidt's book "Birds of Suriname" and then scaled down to fit onto the page. For 16 of these birds, they are shown only as a black-and-white. These come from the figures scattered throughout the pages of the same borrowed book. 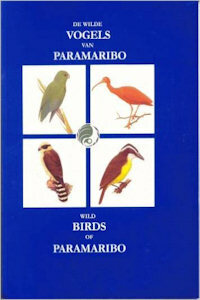 These illustrations, with one per bird, will certainly help the novice birder to recognize many of the birds he or she many encounter in the Paramaribo area. The selection of species is about 50:50 between non-passerine and passerine. The text that accompanies each bird consists of 1-3 short paragraphs. A nice description of the bird is given along with notes on the bird's feeding tactics and preferences, its nesting habits, and other natural history notes such as habitat or behaviors. 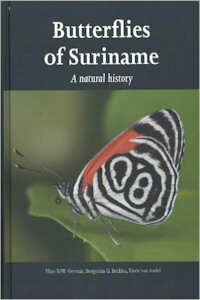 Butterflies of Suriname: A Natural History is the first book on Surinamese butterflies in 160 years and is the result of six years of research by the authors. After introductory chapters on the plants, rainforest and the various habitats of Suriname, the biology of butterflies and the rich history of their study is discussed. This is followed by a detailed description of 150 species from all families. Appendices contain additional information on Maria Sybilla Merian, Pieter Cramer and glossaries of local names of animals and plants, as well as of technical terms. With almost 300 photographs and figures in the text, nearly all especially made in Suriname for this book, and more than 600 photographs on 52 plates, this book should be read by every Surinamese, interested biologist, tourist and other lover of the nature of Suriname. Until the discovery of the Islands in 1535, the flora and fauna of the Galapagos evolved in isolation, producing strange and marvellous island species, as Charles Darwin found when he visited 300 years later. Nowadays many people visit the islands to see the unique wildlife and still encounter almost all the species that were present when Darwin visited. This is in striking contrast to the chains of extinctions that have occurred in every other large oceanic archipelago following the arrival of man. This compact, well thought out and clearly presented book provides a comprehensive guide to the terrestrial vertebrates on Galapagos. It is simple to use, the text is concise and the innovative use of digital technology has produced a remarkable collection of plates. 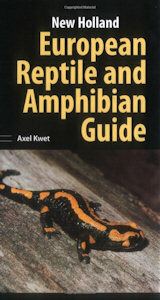 An informative guide of this kind will help everyone, from beginner to experienced naturalist. A comprehensive photographic guide to the Galapogos Islands, covering all recorded species in 53 colour plates with distribution maps for each resident species. 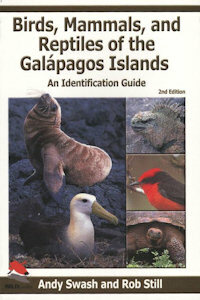 "For anyone even thinking of going to the Galapagos this guide is a must. And, if you have yet to consider the idea, you will when you open its pages." Updated enlarged 2nd Edition of Reef Fish Identification Galapagos is a comprehensive field guide to the fish life in the rich waters that bath the Galapagos Archipelago. 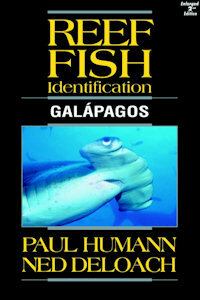 This book is the third in the series of Reef Fish Identification books by the authors. The Galápagos are home to a wide-ranging assortment of unusual plants and animals. The islands became famous as the site of Charles Darwin's research leading to his theory of evolution by natural selection, and their magnificent flora and fauna continue to draw visitors from around the world. 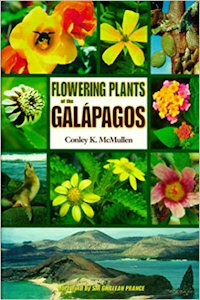 Based on the author's 16 years of fieldwork and featuring his exceptional photography, Flowering Plants of the Galápagos is the first accessible, in-depth yet compact guide to the plant life of the area.